Another on-feet look at the upcoming model. The cat is officially out of the bag on the Air Jordan 31, the latest signature sneaker in Michael Jordan's decades-spanning line. 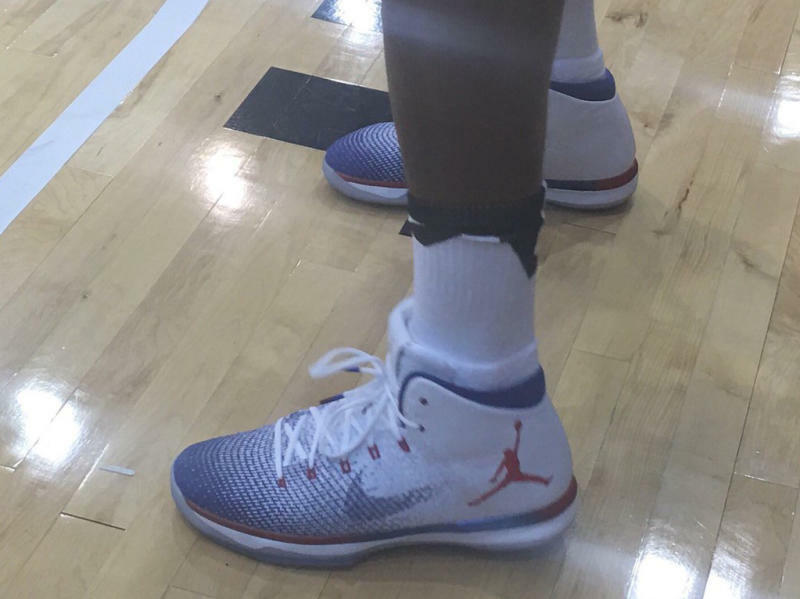 After a leak this weekend, Jordan Brand tweeted out a photo featuring the sneakers, and now more angles have surfaced. 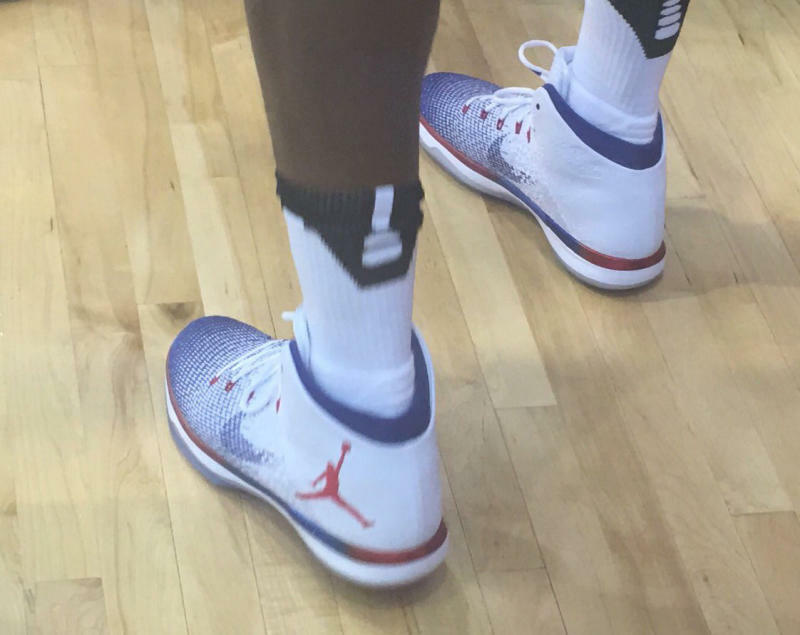 The photos here are of Jordan athlete Jimmy Butler practicing in the "Olympic" Jordan 31, a sneaker he should be lacing up during the 2016 Rio Olympics. The shoe appears to use a full-length Zoom bag on bottom and combines a Jumpman logo with a Nike Swoosh on the upper. 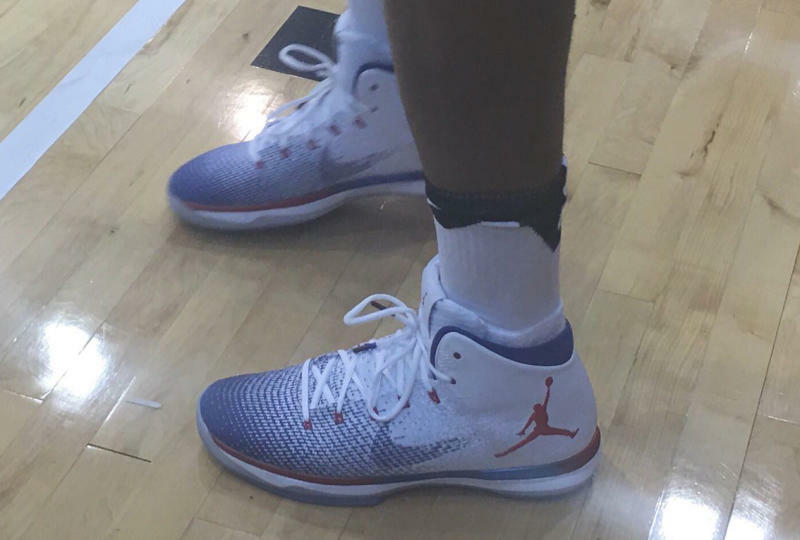 More on the Air Jordan 31 will be unveiled at the shoe's launch event on Wednesday, July 20.